Unexpectedly finding myself with the best part of a day free in Are on my Scandinavian Outdoor Award trip I took the opportunity to climb the nearest hill, 1420 metre Areskutan, which rises above the town. The Are ski resort lies on the southern and western sides of the mountain so I followed paths further east that kept me mostly away from the lifts. Initially I walked through a fine forest of pine, spruce and birch and then, as the trees faded, steep rocky slopes still splashed with big snowfields. There were touches of sunshine amidst the high white clouds at first but as I approached the summit the clouds lowered and thickened and the first drops of rain began to fall, swept in on a cold wind. There is a transmitter on the summit and a cafe serving coffee and waffles, a service provided since the 1890s. As the rain lashed down watching it from inside the hut whilst warming up with hot food and drink was an unusual and pleasant experience. Here, not far above the ski resort, I felt on the edge of the wild. To the north rolling hills dotted with lakes stretched into the grey horizon. That country I knew was remote and challenging. Twenty years ago I walked the length of the mountains of Norway and Sweden and walked through the hills to the north-west of here. I had not been back in summer since but the land still felt familiar and expected. Leaving the summit clad in waterproof jacket and trousers I followed trails through the ski resort, still on rough rocky ridges and steep slopes but always in sight of the vast metal towers and long cables of the gondola and cable car. Looking back I could see clouds capping the summit. I had at least had a view. As I descended I thought about the mountains and the style of hiking compared with those of Scotland. The Swedish paths were marked with frequent high orange metal poles and red and white waymarks painted on rocks and every junction had signposts. There were several wind shelters as well as the summit cafe. I bought a map of the area but using the tourist sketch map with the numbered routes marked on it, corresponding to those on the signposts, would have been adequate unless I had left the paths. Indeed, the path numbers were not on the topographic map. I knew that such an organised path system was the norm in the Swedish hills. I would not like to see anything similar in Scotland. But in a much more important respect the Swedish mountains are wilder and more natural than the Scottish ones despite the signposts and waymarks. In Sweden the natural vegetation of the high hills is mostly intact. In Scotland it is not. This was strikingly evident during my ascent of Are. As the trees thinned out I entered an belt of wind stunted scattered small trees and rich thick undergrowth which then itself slowly faded into lower vegetation as I continued upwards. This natural progression is missing in too much of the Scottish Highlands, with the band of stunted trees and shrubs particularly missing. Although further north than the Highlands the mountains felt richer due to this vegetation. 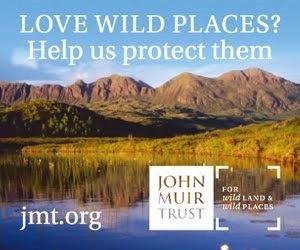 Restoring it in Scotland is a necessary part of caring for our wild places. 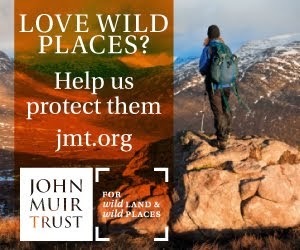 This is being done in places of course and such vegetation can be seen on the slopes of Creag Meagaidh and Meall a'Bhuachaille and other hills. Too often though the fenced woods stop abruptly and above are over-grazed cropped slopes of coarse grass with little in the way of dwarf trees. 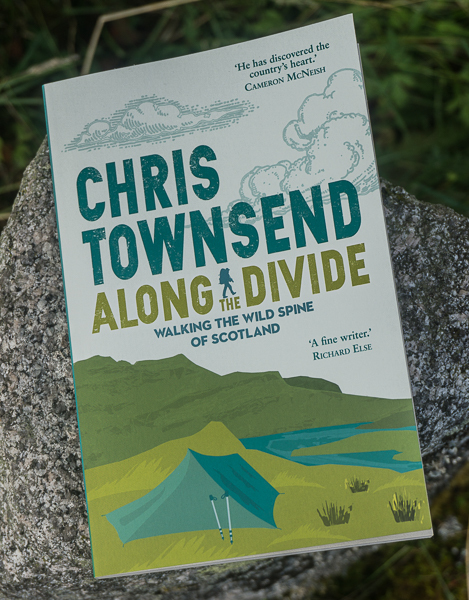 It was interesting to read how you experienced the Swedish mountains and style of hiking compared with those of Scotland. Our Finnish nature and style of hiking are different from those in Sweden, but anyhow these comparisons are enlightening. I enjoyed this entry too. Are there animals that grace on the trees in Sweden as they do in Scotland ? I want to understand why there is more vegetation in Sweden. Hi Alastair, there are grazing animals in Sweden - moose, deer - but not in artificially high numbers as in the Highlands. Overgrazing is the main reason for the poor vegetation cover in the Highlands. Sounds like a nice day in the hills Chris. I am heading to Sweden mid August to walk the first section of the Kungsleden. I think what attracted me is the fact that it is a pretty civilised route through an otherwise remote area. Ideal for my first time hiking in Lapland. I do plan to leave the trail for 2/3 days and hike round to Vistas and Nallo huts though. Reading blogs the scenery looks out of this world! Hi Chris, "there are grazing animals in Sweden - moose, deer - but not in artificially high numbers as in the Highlands". Is this because they are predated by animals? Alastair, I think its a combination of predation, shooting (which of course is a form of predation) and not having deer populations artificially inflated on stalking estates as has happened in the past in the Highlands. Of the two common deer in Sweden, moose and roe deer, the first is hunted while the second is the prey of lynx. Steve, it's not as organised as the Swiss Alps! You can wander anywhere and camp anywhere, you don't have to stay on trails. The landscape is much more like the Scottish Highlands than the Alps.